To truly set yourself apart from other businesses, it is vital to place yourself in the vanguard of ever-changing technological advances. 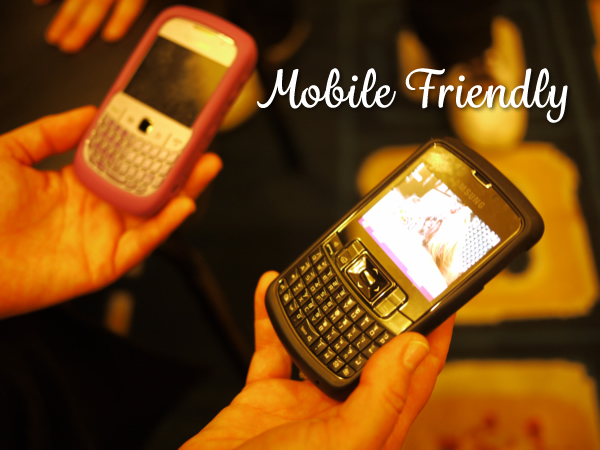 Nowadays more and more Internet users prefer mobile, and it is predicted to overtake fixed Internet access by 2014. Is more than ten percent of your target audience using mobile devices to get to your website? Time to make things easier for them. Nowadays, most websites are designed with only a desktop or laptop computer in mind. In order to view a website on a mobile device, you end up pinching, zooming and scrolling (usually with a few frustrated sighs). By eliminating such clumsy problems, you will end up with pleased and interested clients. Decide on your approach. Are you going to create a separate mobile site or a responsively designed website with a layout that resizes for mobile access? Create a responsive design in your website. This means that through a specialized code, websites can be designed to respond to a visitor’s device and change according to the user’s needs. It is done in the background so that the user doesn’t even have to type an “m” before your domain name. Simplify your design and navigation. Make it easy to deliver the content that the user wants while on the move. Ensure that major services, major products, phone numbers, addresses, and other essential details are easy to find and view. Make sure headlines are succinct enough to grab the attention of visitors viewing on a small screen. Display only essential imagery that has been optimized for mobile. Product photos would be important; “atmosphere” images would not. Avoid black backgrounds. The best design includes dark fonts on light backgrounds. Ensure the phone numbers and email addresses are clickable. Use appropriate buttons sizes. It can be frustrating to grapple with buttons that are too small. If there are two or more links close together, it can be easy to tap the wrong one. To ensure easy navigation, make buttons at least 40 pixels in width/height, as this is optimal for the average fingertip. Use HTML5 to build your site; this will future proof the site. Test the site on the top mobile browsers of your area, especially Android, iPhone/iPod, Blackberry and Opera. Never assume that your site looks great or works well across multiple devices; if it does not, you will lose potential clients. Simplify data entry requirements. Reduce the number of mandatory fields using drop-down menus and checkboxes. Avoid forms if possible. They are a nuisance to fill out on a mobile device. If you must use forms, only ask for the information you absolutely need. Let us know if you have any questions regarding your website. We are here to help you.